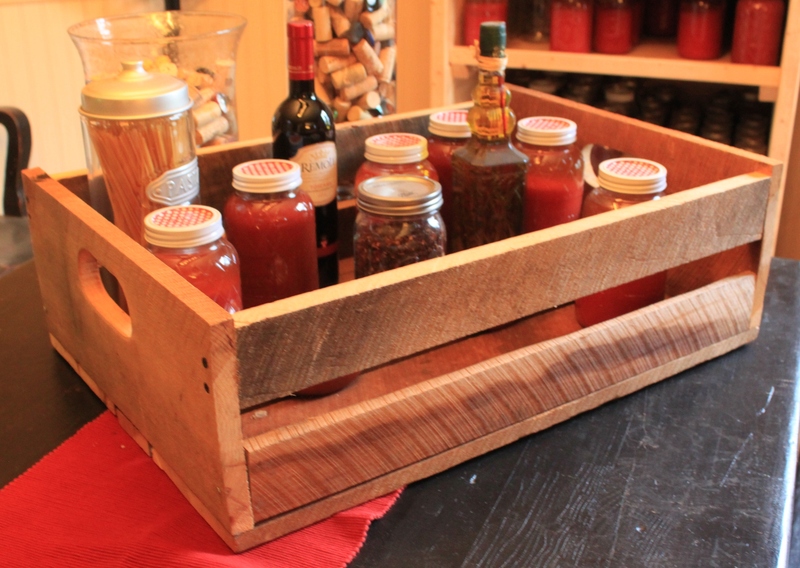 4 DIY Holiday Gifts You Can Make Free From Pallets! With Christmas just a few months away – now is a great time to start thinking about what to get those “hard to buy for” friends and family. Here’s a great idea – get creative and make them something! Home-made gift crates are always a hit! Not only are home-made gifts a great way to save money during the stressful and expensive holiday season – you would be amazed at how much more meaningful they can be to the recipients! 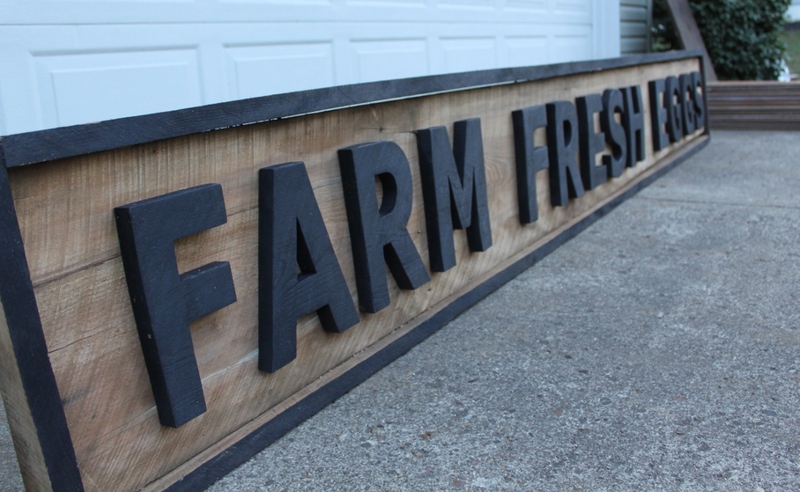 A few years back, we began to make holiday gift crates from old pallets and barn wood – and then filled them with home-made items from the kitchen and farm – and quickly found out how popular they were! The real key to creating any successful home-made gift is to give yourself plenty of time to make it – and that means getting a jump-start now! 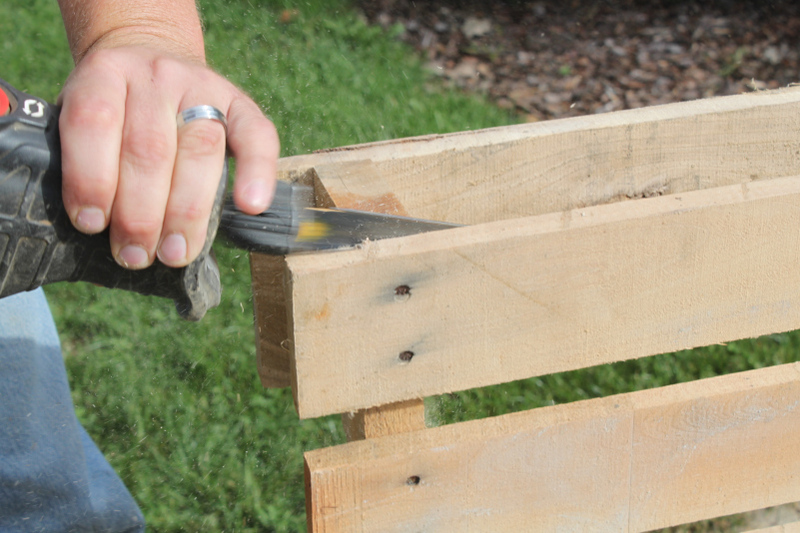 Be sure to check our post on How To Quickly Disassemble Pallets to get you started! So we thought we would share 5 of our all-time favorite pallet projects that would make excellent gifts this holiday season – including links to step by step instructions for building each one. If you have never worked with pallets before, or don’t know where to find them – no worries you can start by checking out the two links below to help get you started! 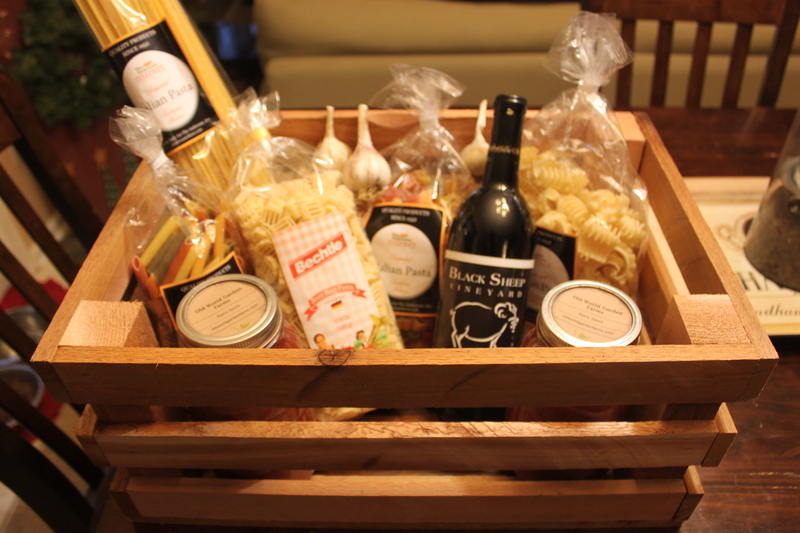 The crates also double as great gift baskets! By far – these are the most popular home-made gifts we have ever made! We make a few of them each year, and then fill them with our home-made salsa, hot pepper mustard, pasta sauce, popcorn and more! They are simple to make with pallet wood, or even scraps of wood you may have lying around. Everyone loves to get them and keep them long after the food is gone to use all around the home for decorations or storage. If any of your friends or family like wine – this one is a no-brainer! Our pallet wine rack holds 64 bottles and has two display shelves – but with its simple segmented structural design – you can adapt it to fit any size or length you need. 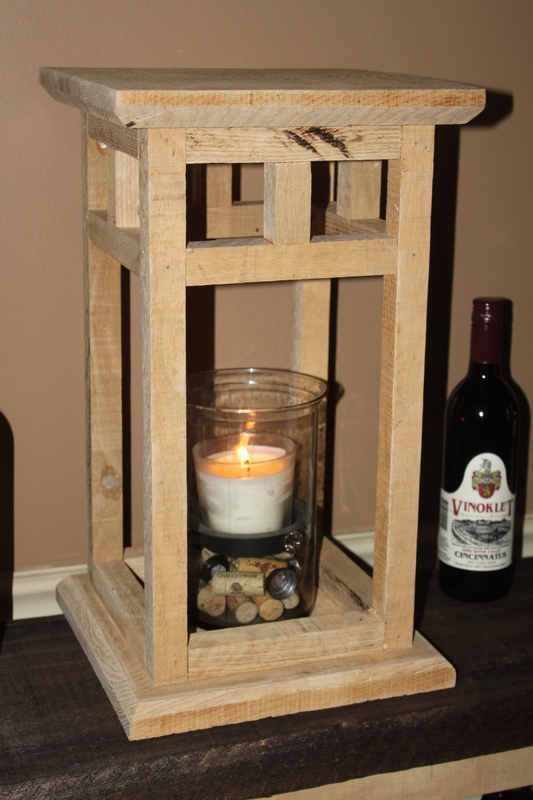 The lantern is simple to make using anything from pallets, scrap wood or reclaimed lumber. If you really want to go all out – adjust the measurements in the plans to make a set of 3 alternate sized lanterns to go perfect on fireplaces, mantles and more. There is something so unique about vintage signs – although the “real” ones can be quite expensive and hard to come by. 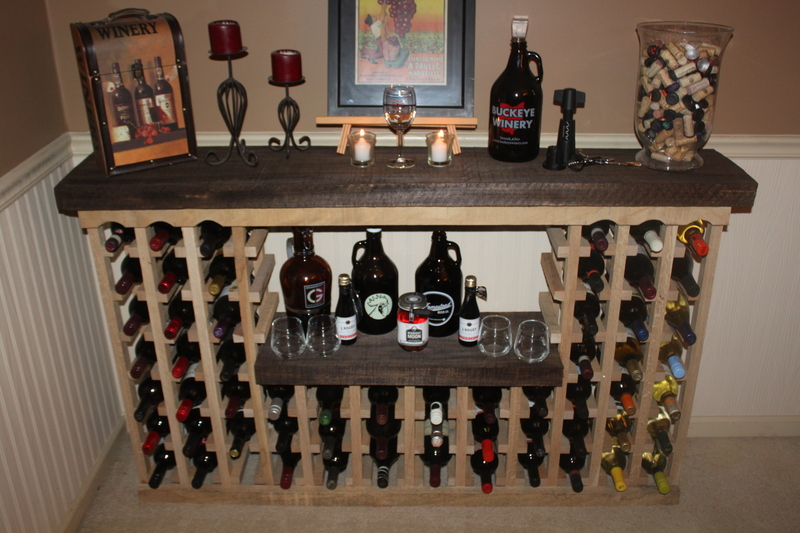 No worries – they are actually quite easy to replicate by using old pallets or scrap lumber – not to mention free! You can even age the wood a bit further by roughing up with chains or steel wool – or pouring coffee or tea on the finished product to produce a rich patina. As for the sign’s theme – get creative – use the recipient’s last name, a favorite local hangout, or old classics like “General Store” and “Coffee Shoppe”. The only limit is your imagination. If you would like to receive our posts each week on Gardening, Cooking, Canning and a DIY Approach to Living – be sure to sign up to follow the blog via email in the right hand column, “like” us on Facebook, or follow us on Twitter.